One of the US government’s flagship programmes for development in the strategic south of risks running aground. According to current plans, when the US Agency for International Development (USAid) withdraws funding for power in Kandahar city later this year, it will also pull the plug on thousands of factories and homes, potentially aiding the , which until 2001 had its stronghold in Kandahar. The US’s Kandahar Bridging Solution is set to end in September. A key part of the project is the Shorandam Industrial Park, a new $7.8m (£5.2m) venture built on the side of the highway between the airport and the city. The park includes a power plant and an electrical distribution system to supply Kandahar with a stable source of electricity. It alsohas business facilities to stimulate growth and create jobs for local entrepreneurs. However, the park does not produce enough electricity to power the city, largely because the US has already cut diesel supplies, and almost all business lots remain empty. The US has no convincing plan to secure remaining electricity when it cuts funding, a . “We are unconvinced that there are plans in place to ensure there is a reliable and sustainable power source for this strategically important city,” says the Special Inspector for Afghanistan Reconstruction (Sigar). The watchdog says that during a recent visit to Afghanistan, the US government of the industrial park. “USAid officials were unable to provide the requested contract documents and could not explain their inability to locate the documents,” Sigar says. Kandahar, which used to be an underdeveloped bastion of the Taliban, is now a busy city of half a million people, with daily domestic and international commercial flights. The city is largely secure by Afghan standards, with blast walls and an extensive police force fortifying the streets. Yet, security in the province is tenuous. Rasoul Baghi, director of the southern provinces for the state power firm Da Afghanistan Breshna Sherkat (), said the Taliban controls more than a third of the output at the Kajaki plant, a facility in neighbouring Helmand province that helps power Kandahar. 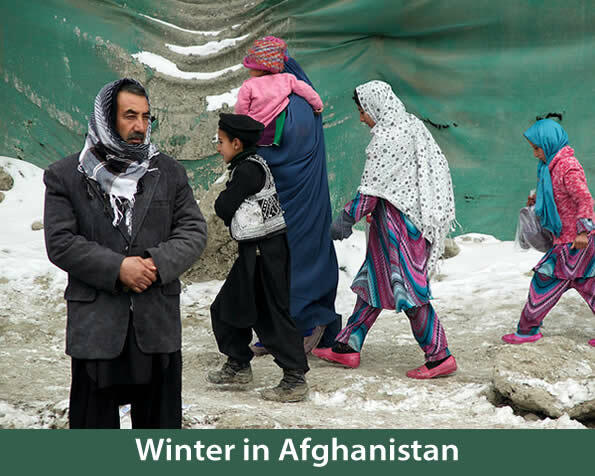 An estimated 30% of Afghans have access to electricity, but the insurgents are able to secure a steady power supply to areas under their control, taxing residents in the process. For the past few weeks, electricity from the Kajaki plant has been cut off from the grid because of fighting spilling over from Sangin district in Helmand, damaging the transmission line. A recent two-month military operation named Zulfiqar failed in its objective to clear Sangin of insurgents, but made it possible for Dabs to reconnect the Kajaki plant to the power grid three days ago, said Baghi. Before then, the provincial capital Lashkar Gah had been without power for 60 days, according to the deputy governor of Helmand, Jan Mohammad Rasolyan. The Taliban has maintained a steady level of fighting over the winter; in spring, they normally scale up attacks further. On Wednesday, the insurgents named this year’s fighting season “Azm”, meaning “resolution” or “determination”. The spring offensive will begin on 24 April, the insurgents said, foreshadowing what many fear will be the Afghan war’s deadliest year on record. There has been a particular increase in violence in the country’s south, where the national security forces are strained in the absence of international troops. Another purpose of investment in Shorandam Industrial Park was to create employment. Stimulating the economy would ideally encourage farmers away from growing opium and give birth to a business class with commercial ties and loyalty to the national government. Original plans for the plant included accommodation for 48 businesses. During their visit last year, however, Sigar’s inspectors only found : an ice cream packing facility. When the inspectors returned this year, after the majority of US troops had left, there were still only four active businesses. Shorandam and Kajaki aside, Kanadahar is powered by a third main plant, Bagh-e Pul, which the US also helps power with diesel subsidies. In early 2014, the Americans supplied 1.8 million litres of diesel to Shorandam and Bagh-e Pul plants, said Baghi, which was enough for the generators to run on almost full capacity. For the past year, has gradually decreased its supplies of fuel for the power plant, leaving it almost defunct. Fuel has shrunk to 300,000 litres, divided between the two plants. In a written statement, Ben Edwards, a USAid spokesman, described Shorandam Industrial Park as “fully operational”. “Existing and future business tenants have access to electricity, water, roads and clear title to land in both parks. Equipment and infrastructure provided by USAid is already being utilised by business tenants. The Afghan government is taking active steps to ensure that the parks contribute to the economic development of the country,” Edwards said. Baghi said the current situation leaves the electricity vulnerable when there is fighting, as was the case in the recent clashes in Sangin. He adds that the only way for the cash-strapped Afghan government to supply the required diesel is to move resources from other big city plants in the country.